When summer flowering plants come to an end, the garden can start to lose its colour and need some brightening up. Early Autumn is the ideal time to plant winter bedding plants, perfect for adding life to your garden during the winter months. Most winter bedding remains dormant during the coldest part of the winter and will flower in spring, but truly hardy pansies, violas and primulas are now available that will flower all winter long apart from during the harshest of conditions. While we are still experiencing unseasonably mild temperatures for October use the opportunity to get winter bedding well established. The plants will grow quickly producing vigorous roots and bushy tops. Bushy tops in turn produce more flowers & then because the plants are stronger they will continue to produce flowers throughout the winter, except in the harshest of conditions. If it’s left much later the temperatures will drop, very little light will be available, and your bedding plants will pretty much stick at the size you buy them. 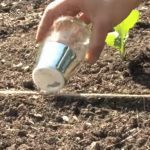 If your summer bedding is still in flower and it seems criminal to remove it from the ground, simply plant the winter bedding between the summer plants until their final flush is over. The winter plants will have plenty of time to grow between them before they start getting crowded out. If planting up entire beds for the winter seems too daunting, why not try just a few planted containers to add interest to a doorway, patio or part of the garden which is highly visible from a window? When planting in pots ensure that you add plenty of drainage material in the bottom. Firstly, all plants hate to sit in water logged containers and secondly, if the pots hold too much water which then freezes it will expand and crack your pots. Pansies and Violas: With gorgeous little flowers available in a kaleidoscope of colours, these are hardy little plants that can handle temperatures down to -5 ˚ or even -10˚. 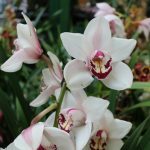 They will flower in autumn, continue through winter even during periods of frost and snow and then create another great display in early spring. Primroses: Known as one of the classic early spring flowers, primroses will really bulk up over autumn and winter and create a carpet of colour in very early spring. Wallflowers: They will grow large over the autumn period, remain dormant for the winter and then come early March will erupt into flower and be absolutely covered in blooms. 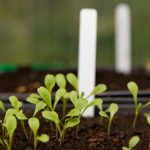 Hardy cabbage: While many winter bedding plants may give you some colour in the middle of winter, most will remain relatively dormant waiting for the first signs of spring. So, for absolute guaranteed colour hardy cabbage or ornamental Kale, as it is otherwise known, is an excellent choice. The colour is in the frilly foliage so there is no need for flowers to be enticed out with mild temperatures. In fact, the colour intensifies as the temperatures drop! They are available in a wide choice of shades from white through pinks and purples to lime green. Of course, interest doesn’t always have to come in the way of flowers. Evergreen shrubs will retain their green leaves through winter and make a great focal point in a bed or large container or can be mixed with flowering bedding for a variety of foliage and flowers. Winter bedding plants are easy to grow from low cost plug plants so why not visit your local garden centre to see what’s on offer. Remember that they don’t grow a great deal in winter so make sure you start with good-sized plants and use sufficient numbers of plants for the size of bed or container to make an impact from the start. 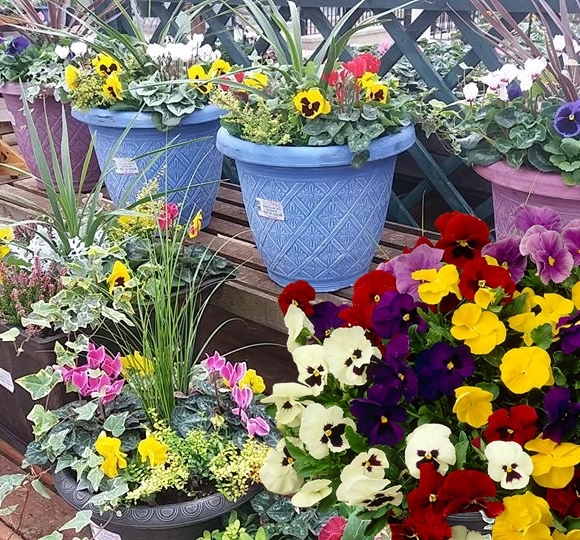 Visit Henry Street Garden Centre for a stunning collection of our favourite winter bedding plants, including ready planted containers. Our covered area is awash with autumn and winter bedding – great for injecting a splash of colour into the garden now the summer colour is starting to go over. Check out the plant area today! !